Since writing my book which disclosed more than 200 un-announced Mars artifacts in 2005 , I've been periodically looking at what's been happening since with the Rovers. All the rovers sent to Mars, including the recent non-mobile Phoenix Lander are all solar powered. Both Mars Rovers should have died more than three years ago. It would be remiss if we didn't discuss the mystery "dust devils" that seem to wander the planet. First, NASA has concluded that rocks on Mars are very similar in chemical composition to rocks on Earth. This would cause Mars dust to be very similar, if not the same as dust found on Earth. Some theories suggest that the every-present dust on Mars is essentially the same material that planet's rocks are made of. With this in mind we add into the equation the NASA statement that "Mars' atmosphere is just 1% that of Earth." Essentially it's almost a vacuum for purposes of discussion. If true, how could dust devils be created and if so, how can such a thin atmosphere make rock-like material airborne? "There-in lies the rub" as the expression goes. But as we shall see, this story gets even more interesting. Equally questionable is how solar panels on two of the three Mars rovers are cleaned on a regular basis. NASA speaks little about the tiny little Pathfinder Rover, which was the first mobile rover to land on Mars. It functioned for just a few months before going silent. 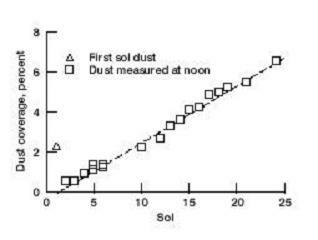 Dust was blamed for the silence when the solar panels were finally covered with enough dust to prevent recharging batteries. Apparently there wasn't anything to clean Pathfinder's solar panels ­ even though it landed near the equator as Spirit and Opportunity also have. When Spirit and Opportunity missions were announced, NASA stated that because of dust deposition on solar panels these spacecraft would only function a few months and then go silent Yet here we are in the future about four years later - and both rovers are still working! 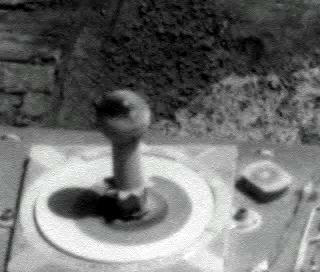 While examining Mars rover images I discovered that NASA has a peculiar fascination with the sundials on the rovers. For discussion purposes we'll arbitrarily look at the Opportunity rover in this report. 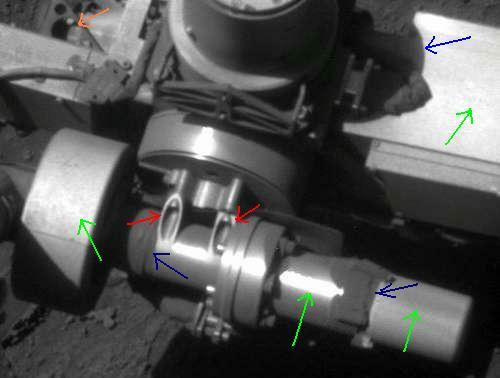 To examine dust deposition we need to look at a close-up images of the Opportunity Rover itself. Day 1472 of the mission was chosen at random and used for the following analysis. It also has some interesting photos of the rover itself. Based on the inconsistent, bizarre data from NASA I have a possible theory. There is dust on the vehicle - but it is SELECTIVE dust. That is, dust which is either left there or placed there in areas which will not prevent the rovers from functioning. This also implies that someone may be cleaning them periodically, too. That is, wherever they are actually located.